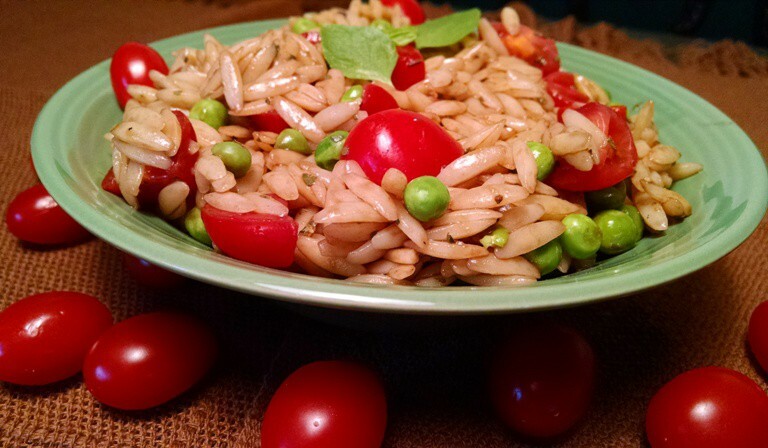 This colorful orzo pasta salad is nutritious, filling, and can be made in minutes. It is always a huge hit at my Food for Life classes! Orzo is a lovely little pasta that looks a lot like slivered almonds to me. When choosing pasta, I always go with the whole grain options. 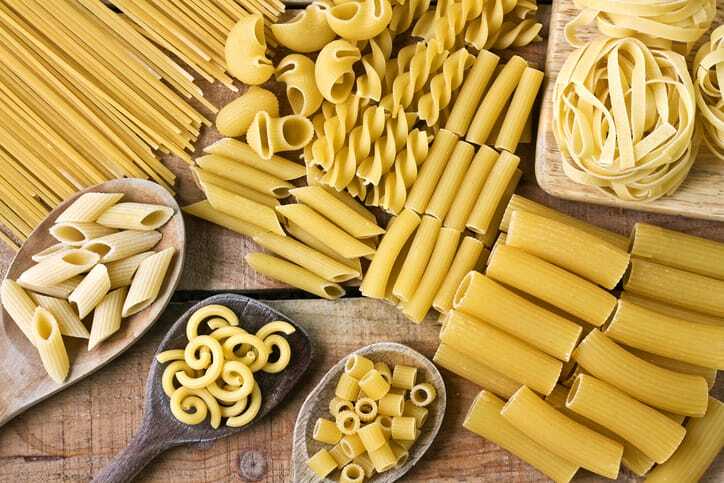 Some people imagine that pasta–along with bread, potatoes, and rice–is bad for you, but the opposite is actually true. Carbohydrate-rich foods are helpful for permanent weight control, because they contain less than half the calories of fat, which means that replacing fatty foods with complex carbohydrates automatically cuts calories. It’s important to remember to eat healthful carbohydrates, such as whole grains, pasta, brown rice, and sweet potatoes. Other whole grain pastas could also be used in this recipe, as the vegetables and dressing lend themselves well to variety. This recipe would go well with any whole grain pasta desired. This is a light and delicious as a veggie pasta dish, and so easy that this recipe can be made in about 20-minutes. The simple oil-free 3-2-1 dressing used with this dish requires only three ingredients–balsamic vinegar, Dijon mustard, maple syrup–to be whisked together in a small bowl. Only balsamic vinegar and Dijon mustard are required to make the dressing for this pasta salad. Click photo to go to simple instructions. Added to the orzo and veggies, this dish comes together with a burst of tangy flavor! Recipe from Physicians Committee, Food for Life: KickStart Your Health. This colorful orzo veggie pasta salad is nutritious, filling, and can be made in about 20 minutes! Recipe from Physicians Committee, Food for Life: KickStart Your Health. 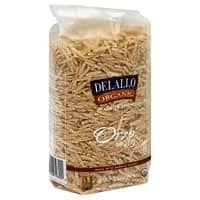 Cook orzo pasta according to package directions. Thaw frozen peas by placing in colander and running warm water over them. 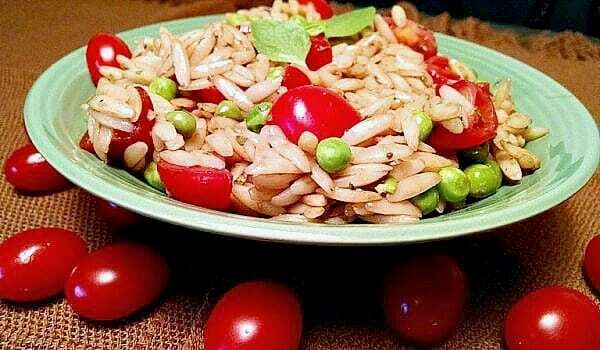 Place all pasta ingredients in large bowl--orzo, green peas, tomatoes, pine nuts (if using), basil, salt, and pepper. 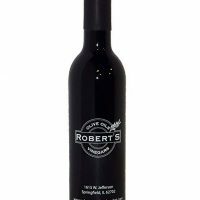 Add balsamic dressing (recipe below). 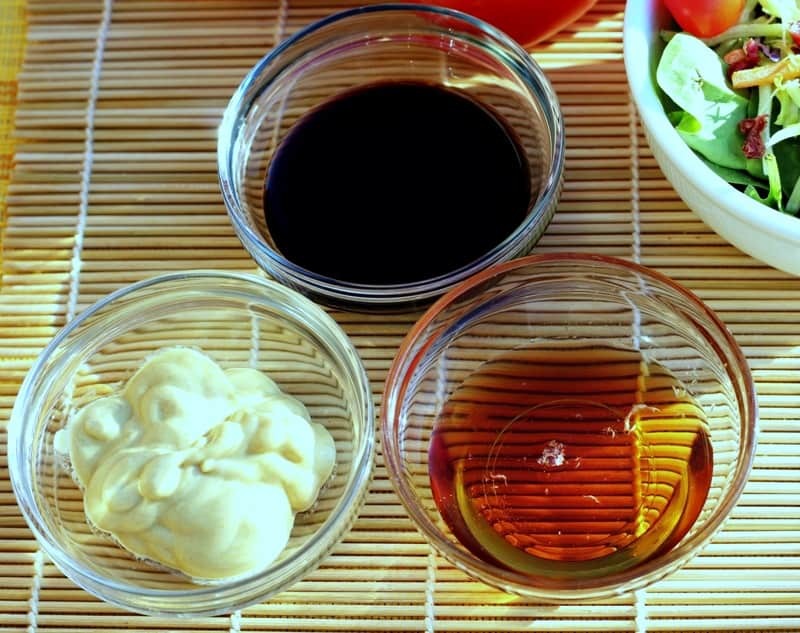 Whisk together balsamic vinegar and Dijon mustard in a small bowl. Pour over orzo and veggies. Mix well and serve warm or cold. A light and delicious meal anytime. What a wonderful, easy, satisfying recipe! Making this today! It’s one of the favs in my FFL classes too!